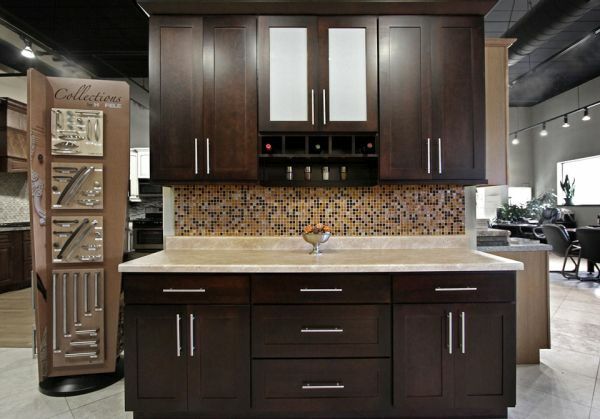 The cabinets in your kitchen can help you in enhancing the appeal of your kitchen altogether. Here are a few ways by which you can add life to your kitchen cabinets. Your mundane kitchen cabinets can be converted in to vibrant pieces of furniture. 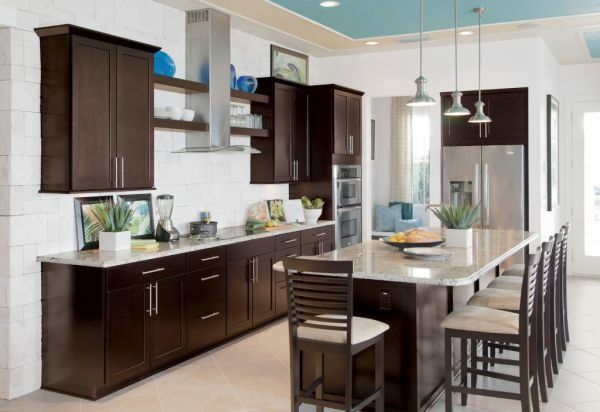 The secret is as simple as it can be, paint the cabinets in an appealing color. The normal boring theme in the kitchen will get a colorful splash. Choose the color in such a way that it goes with the theme of the kitchen. You can pick from the various shades of blue, red, yellow and even orange. You probably never thought so, huh. 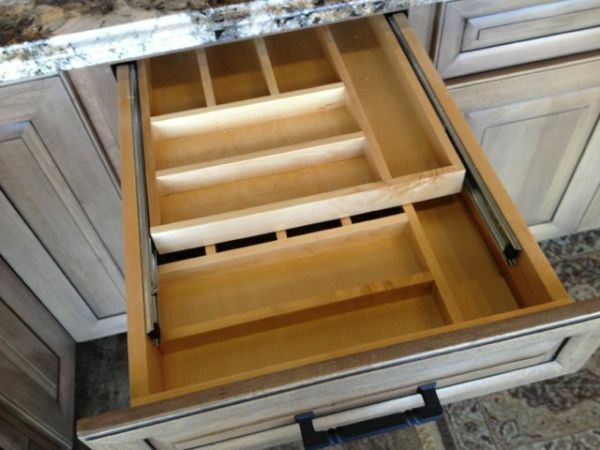 The idea is creative enough to bring a great change in the appearance of your kitchen cabinets. Right from white to any color that matches the rest of the kitchen. The door panel of the cabinet can be of a different color and the inside of the cabinet could the same color as the walls or even be matching the color of the flooring. Think of the items that particular cabinet would be used for, and match the color accordingly. If there is glass in the door of the cabinet, the color on the inside would be awesome. You can also make use of wallpaper in the inside of the cabinet. Whenever you get bored of the wallpaper simply replace it with a brighter or sober one. A glass on the kitchen cabinet door can do wonders. There are many choices, from frosted glass to colored glass, you can choose from the several designer creations. A thick clear glass will look cool when you want to showcase the items of the cabinet, like some fancy crockery and/or wine glasses. A colored glass on the cabinet door could bear a pattern, a fruit, cutlery or anything else that you think will go with the theme of the kitchen. 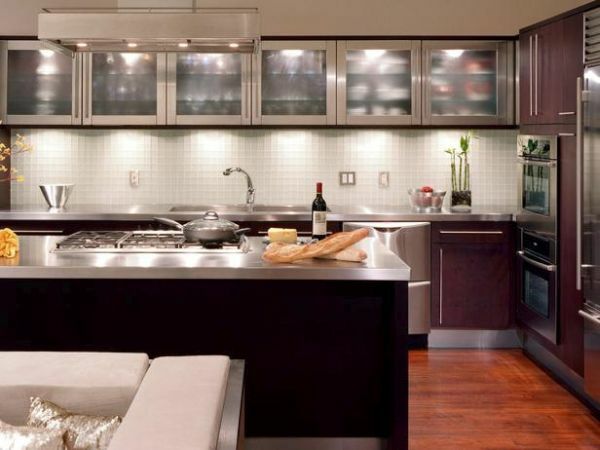 Utilizing simple and inexpensive tricks can bring you kitchen to life. Keep in mind that the purpose of the cabinet is not just storage but also adding to the kitchen décor. Touch Sensitive Kitchen Faucet: Yay or Nay?